Oh, yes, I say trustees and not clients, because when one receives a procuracy or power of attorney, he realizes that he is entrusted with something valuable: fortune, business, career.If you receive some trust, you become responsible to do all you can to achieve the set goal and realise your task. From the beginning of our work in 2010, our legal help of "Inmarine" LLC has been what had allowed our client companies to construct, buy and supply marine vessels, safely hand out and carry cargoes, manage damages and to master new regions of expension of business. 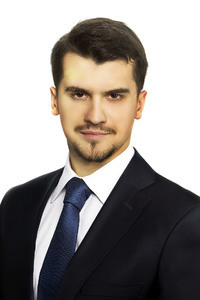 In particular, material achievments of firm's legal practice in 2010-2012 have been such cases as shipbuilding of trawler in Gdansk shipyard, multi-modal carriage of chemical fuel products, investments in technical development of port terminals in Leningrad region and consulting of large German shipowners on issues of shipping business in Russia. Stable advantage which we plan to further develop is is our knowledge of real business processes in carriage of goods by sea together with our unique methods of management of quality of legal services which allows us to offer 100% workable solutions in consideration of specifics and practice of working in maritime industry. At the same time an important advantage of the firm are unique legal solutions up to finished result which is very important in maritime transport and international trade. In 2010 - 2011 our company has recieved many grateful recommendation letters and had shown financial growth for more than 70%, but it all became possible only thanks to the main treasure of the firm - its qualified team of lawyers with maritime qalification (navigation, engineering, aqualungist works), who possess knowledge of at least 2 foreign languages and experience of international work, including foreign law. These are specialists who are seriously in love with their profession - practisioners which constantly fight injustice, win and help to realize the most brave comercial rojects. In our work we learn constantly, perfect applicable legal methods and create long-term solid partnerships in oder to make your business trully solid, protected and stable to challenges of any kind.